Vibration testing is essential to determining the ability of a product to withstand the conditions that it might experience either during operation or transit. As important as vibration testing is, selecting the right shock and vibration test lab to work with is even more important. It is common for units to be over-tested or improperly fixtured. An incorrect vibration fixture can either mask problems with a unit or artificially cause the device to fail the shock and vibration testing. Proper vibration fixturing is crucial and something that the dynamics testing team at Keystone Compliance is very experienced with. Random Vibration Testing – A random vibration test provides all frequencies simultaneously and is considered to simulate real world movement. 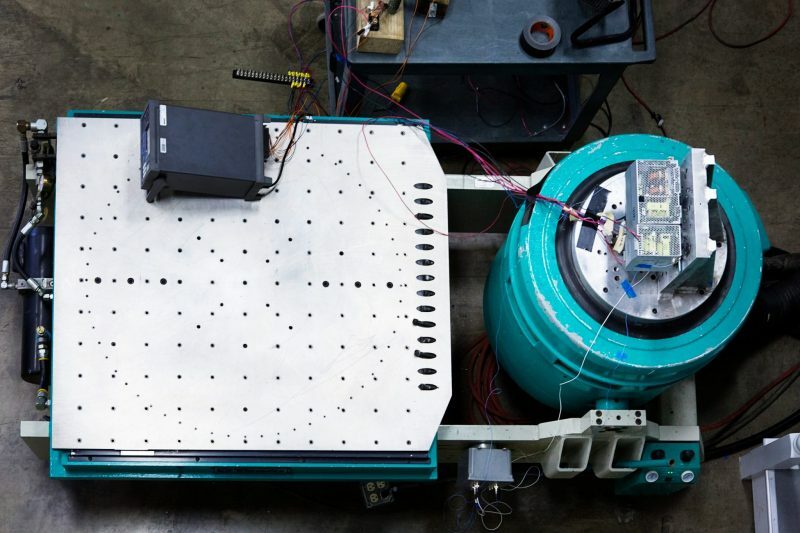 Random vibration tests can simulate vibration caused by different events such as operation, transportation and seismic. Sine Sweep Vibration Testing – A sine sweep vibration test sweeps across a frequency spectrum to determine and identify any test article resonant frequencies. Sine Dwell Vibration Testing – A sine dwell vibration test simulates a worst case scenario where the EUT is excited at specific resonant frequencies. Sine-on-Random Vibration Testing – A sine-on-random vibration test is completed by superimposing a sine dwell over a random vibration profile. Mixed Mode Vibration Testing – A mixed mode vibration test can also provide swept sine on random and random on random vibration environments. Keystone Compliance is a unique vibration test lab because of our focus on the customer experience. From quote to report, our process is exactly what our customers need. Quotes are completed in a timely manner and our pricing is always very competitive. Need help with designing a test plan or a fixture? We can generally find a solution. With four vibe tables, scheduling is easy and with our flexibility, we can often accommodate short lead times on scheduling. Our shakers range in size and capability. During testing, our vibration controllers offer tracked resonance dwell, automated response limiting to any profile, mixed mode vibration testing (sine on random testing, random on random testing), and classical and SRS shock testing. If failures do occur, we work with our customers to identify root causes and potential solutions. We are not a vibration test lab that pulls units off of the shaker the minute there is a failure or deviation to the test plan. We unfortunately cannot guarantee that every unit that enters our lab meets every requirement. However, engineers with units that incur failures during testing, receive more guidance on how to resolve those failures at Keystone Compliance than they do at any other test laboratory. Our consultative engineering has caused Inc. Magazine to recognize Keystone Compliance as one of the fastest-growing companies in the country. Contact Keystone Compliance to partner with the experts who offer short lead times, thorough reports, unprecedented consultative guidance and the best vibration testing lab experience in the industry.